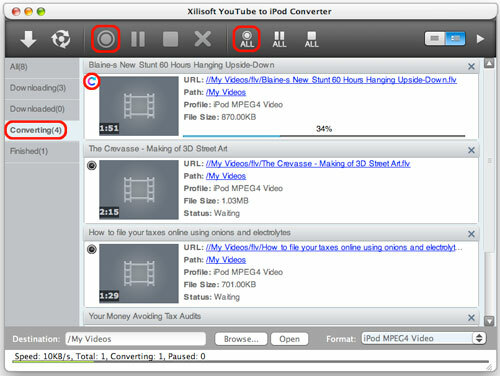 The article below will guide you to download videos from www.youtube.com and convert them to iPod/iPhone video files with Xilisoft YouTube to iPod Converter for Mac step by step. 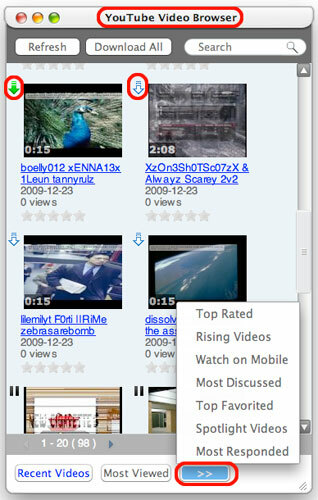 At first, download, install and launch Xilisoft YouTube to iPod Converter for Mac. Click the "Xilisoft YouTube to iPod Converter > Preferences > Settings > Proxy" tab, choose the proxy server type, enter the address and port of the proxy server, and if necessary, enter the user name and password, then click "OK" button to return to the main window and retry.